Auburn, ME - Virginia Thompson Houston of Poland Maine passed away on Friday, September 15, 2017 at the age of 94. “Ginny” was born December 8, 1922 in Byron, Maine, the daughter of Alfred N. and Eunice H. Thompson. Ginny attended Auburn Schools and graduated from Edward Little High School with the class of 1941. She was active in sports. She graduated from Auburn Maine School of Commerce. She worked many years at Mechanics Savings Bank. Ginny married Stanley E. Houston of Durham on July 8, 1945 at the High Street Congregational Church in New Auburn. They resided in Auburn and spent summers at the family camp in Otisfield. They moved to Poland, ME in the early 70s. She spent her later winters in Spring Hill, FL. She was active in numerous clubs and organizations. She enjoyed playing cards on Saturdays with a special group of friends. She was predeceased by her parents, her husband, her brother Raymond Thompson and her son-in-law Frederick Walters. She is survived by her daughters Sheryl Walters of Poland, ME and her companion Stephen Cox and Janice Rawson. She also leaves her grandchildren Pamela Oberg and her husband Chris of Somersworth, NH, Katie Rawson and her husband Ryan Wire of West Hills, CA, Paul Rawson Jr. and his wife Caitlin of Poland ME, and Nathanial Rawson of Bloomington, IN as well as her great grandchildren Alexis Oberg, Keegan, Connor and Mackenzie Rawson, her brother-in-law John Houston of Topsham and many beloved nieces and nephews. The family wishes to thank her caregivers at Schooner Estates and Clover Manor. A graveside service will be held at Gracelawn Memorial Park in Auburn at a later date. In lieu of flowers, donations may be made to Responsible Pet Care P.O. Box 82 Norway, ME 04268 as she loved her daughter’s two cats or the Poland Recreation Dept. 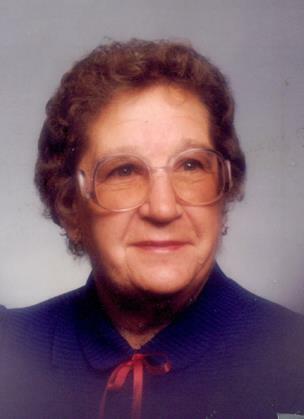 1231 Maine St, Poland, ME 04272 as she loved watching her grandchildren and great grandchildren play sports.